Xiaomi is launching more and more products into the Indian smartphone and accessories market as times passes by. It started with smartphones but now it offers a range of power banks, smartphone cases, fitness bands along with various colourful straps, and tablets. To add to its portfolio of electronics, it has launched yet another accessory into the Indian market. The latest entrant into the accessories market is an ultra-portable USB-powered Mi LED light. This light is available in two colours variants- Blue and White and is price at Rs. 199 only. You can buy it from Mi’s official website right now. Its flexible body will let you adjust its shape as you want and its diffused LED light won’t strain your eyes. The Mi LED light can be powered by any USB port– be it on a laptop or a power bank. You can use it for reading a book in a dark room without straining your eyes. Plug into a USB port for using your laptop comfortably in the dark. Two to three of these lights can be used to make a good emergency light. All you have to do is get a USB dongle having multiple slots, plug the source into a power bank, and insert as many LED lights as you want. I’m also assuming that you can also power it up using your smartphone too if it supports USB-host functionality. Now, if you want to buy just one Mi LED light from Mi Store then you would end up paying Rs. 249, as they don’t do free delivery for any order costing under Rs. 500. Rs. 199 is a very reasonable price for a USB-powered light and I would recommend all those who have a power bank to buy it. You can always use an extra backup light, especially in this summer season of rampant power cuts. 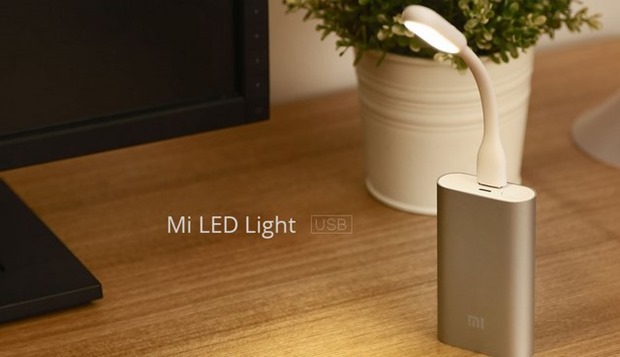 "Xiaomi Brings Ultra-Portable Mi LED Light To India At Rs. 199", 5 out of 5 based on 1 ratings. Facebook Launches Moments App to Share Photos With Your Friends Privately!